Welcome to AllThingsValued, the proven call centre agent performance evaluation tool that will increase agent productivity by a minimum of 5 percent within four months of implementation. Designed for call centres by an industry professional, AllThingsValued is a powerful yet easy to implement method of identifying agent overall contribution on a relative basis and in an understandable and usable format. Agents who are provided with regular and meaningful performance feedback are better motivated and happier. AllThingsValued provides you with a scaled agent contribution score that allows you to track results, and correct and improve agent skills in an effective and exacting manner. Our experience has proven that the AllThingsValued 'relative' performance evaluation method will help you to increase agent productivity, quality, sales, or any area of focus within your call centre. 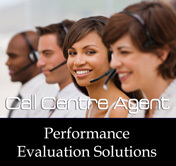 AllThingsValued is an agent performance tracking and analysis process that works in any size call centre. Our approach is personalized and disciplined. 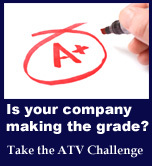 We help call centre managers help agents to do their best. Please take a moment to see if AllThingsValued may be helpful to your company by clicking on the "About AllThingsValued" icon. We look forward to working with you.